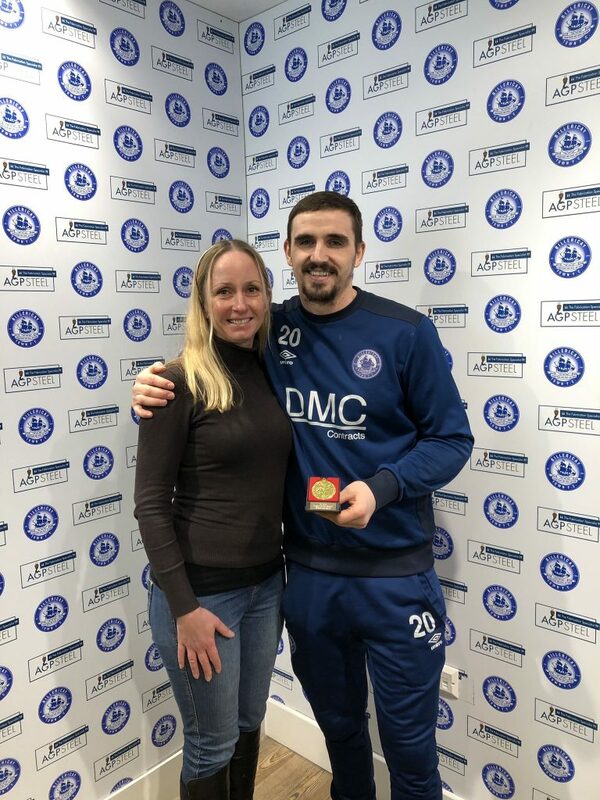 Each month, BTSS surveys the fans for our Player of the Month and we present the winning player with an award. 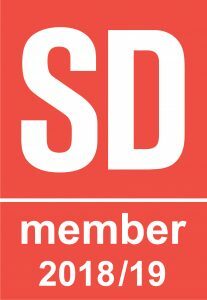 Catch us at the home matches immediately after the end of the month end for voting slips, or contact us through this website to cast your vote! February’s votes will be collected at the Torquay United home game on Saturday March 9th so please see a BTSS board member at our stand in the clubhouse before the game to vote. 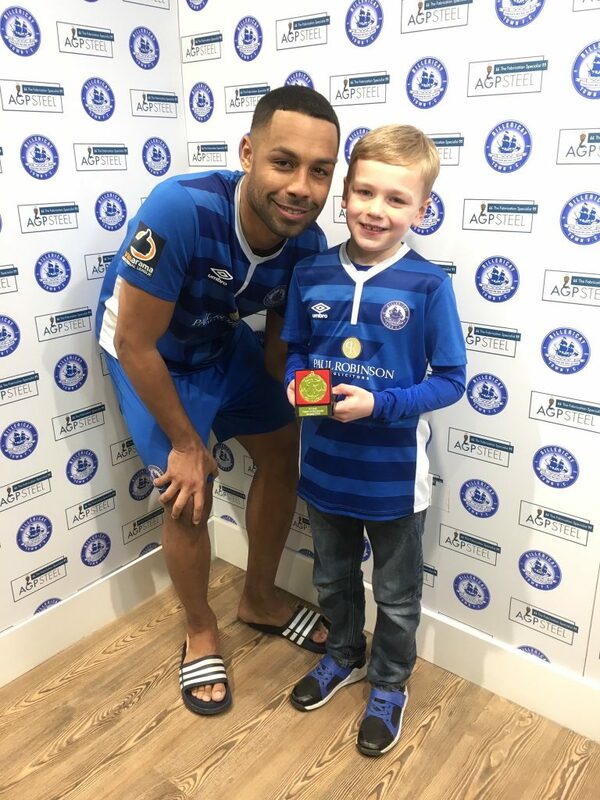 Adam Coombes – Adam is pictured after the Truro home game receiving the January award from 7 year old Oscar Jennings, after securing an astonishing 58% of the vote! Congratulations to Adam and well done to Oscar! Dean Inman – sadly, then club record signing, Dean Inman has left the club before BTSS were able to present him formally with his award. 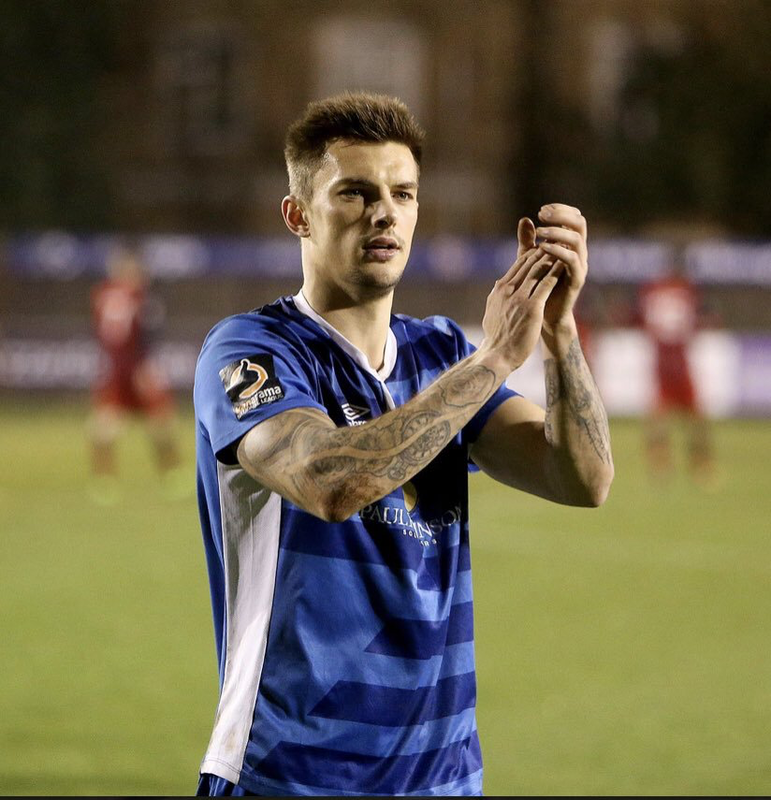 Congratulations to Dean – we wish him all the best with his career and thank him for some sterling performances during his time at BTFC. 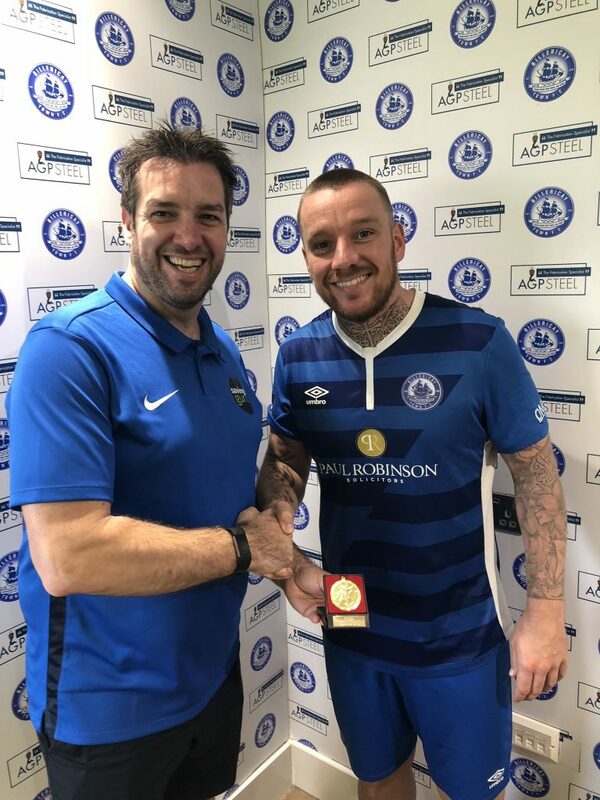 Jamie O’Hara – Jamie is pictured receiving his award from BTSS Chair, James Blower, for his superb performances during our games in September. 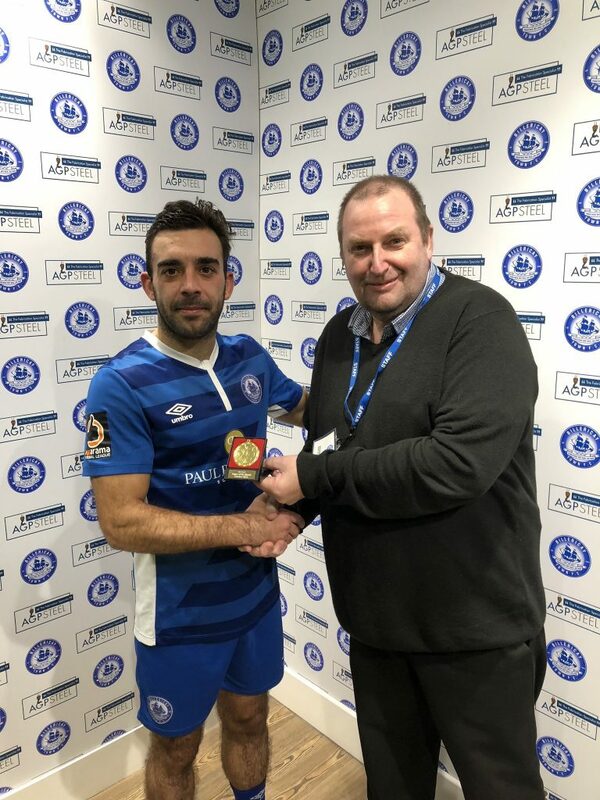 Joe Kizzi – Joe is pictured receiving his award from our Chair, James Blower, after some outstanding performances in August.